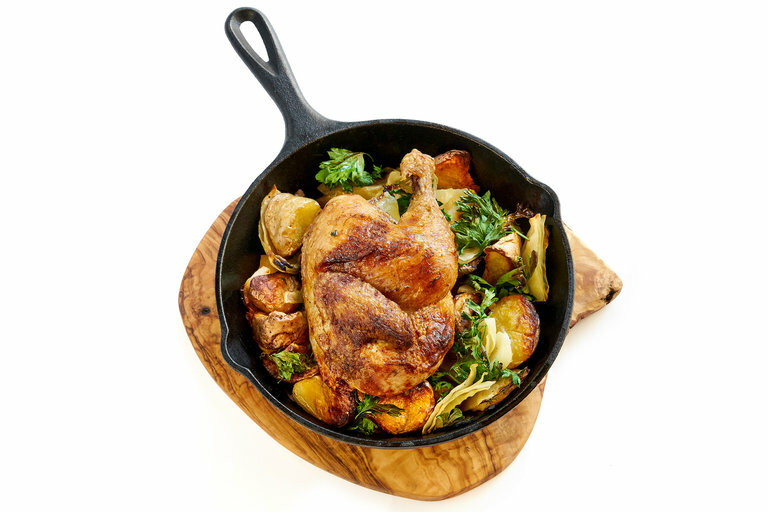 The wood oven-roasted chicken with cabbage, potatoes and other vegetables at Francis Mallmann at Château La Coste in Provence. 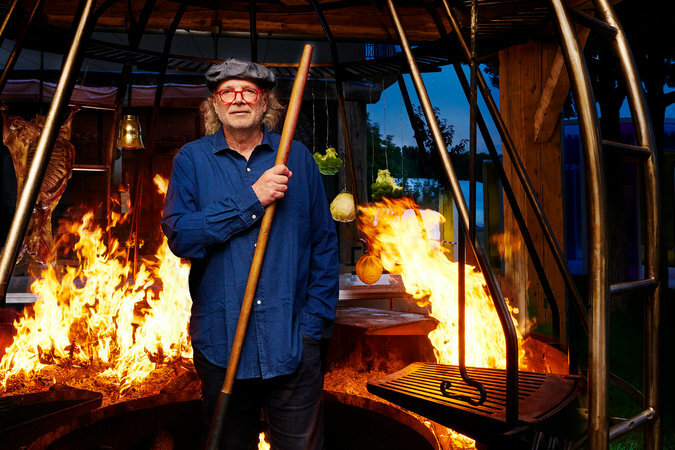 If food lovers gleaned anything about Francis Mallmann from the 2015 “Chef’s Table” episode that chronicled his culinary journey, it’s that the peripatetic Argentine chef finds joy in open flames and remote locales. He runs restaurants in rural Uruguay, in the heart of Chile’s Colchagua Valley, at the edge of the Andes Mountains and resides full time in the wilds of Patagonia. In May, he took his brand of cooking — equal parts rustic and sophisticated — to Le Puy-Sainte-Réparade, a village in Provence, where he opened a 90-seat restaurant, his first in Europe, on the grounds of Château La Coste, an organic wine domaine and contemporary art park. Mr. Mallmann and the restaurant’s wire dome used for hanging carcases and slow-cooking whole fish and meat. What he does, as with each of his establishments, is create an experience that goes far beyond the plate. In fact, it is the sensory details other than taste that struck my husband and me most during our summer visit: the sharp aromas of burning oak and vegetables cooking beneath ash, the incongruous but pleasant chorus of cicadas and prewar jazz serenading us to our courtyard table, the warm (but not overly chipper) service from two different servers, and a clear view of the space’s statement piece: a hulking wire dome used for hanging carcasses and slow-cooking whole fish and meat. Other decorative elements — checkerboard floors and thick exposed beams to the hand-carved wood tables topped with citrus fruit and ceramic pieces from the brand Astier de Villatte — commanded just as much attention from other diners until the amuse-bouche of puréed lentils topped with pickled onions and espelette pepper arrived and snapped the focus back to the abiding question: would the food match the aura around it? The answer was a bit hazy. The refreshing raw zucchini salad with chunky slivers of Parmesan, fresh mint and roasted almonds and the flavorful lemon-marinated sea bass were winners and paired beautifully with the fruity Château La Coste Première Cuvée white wine we were served. But there were missteps: The dome-smoked lamb with smooth yogurt and beetroot was overcooked and my wood oven-roasted chicken — served whole in a cast-iron skillet, weighing down a bed of cabbage, potatoes and tiny cubed vegetables — was visually arresting and perfectly juicy, but awkward and laborious to cut. Fortunately, the wines — a mix of local and South American producers — kept things interesting throughout the meal, and the white wine-infused poached pear with rhum toffee and pistachios was a balanced and bright finishing note. After finishing our fresh verbena teas, we left sated — uncertain if we should credit the meal or the setting.